Through the custom iron gate sits Timberwolf Estate, a beautiful sprawling 5 + acre horse property located in a gorgeous setting. 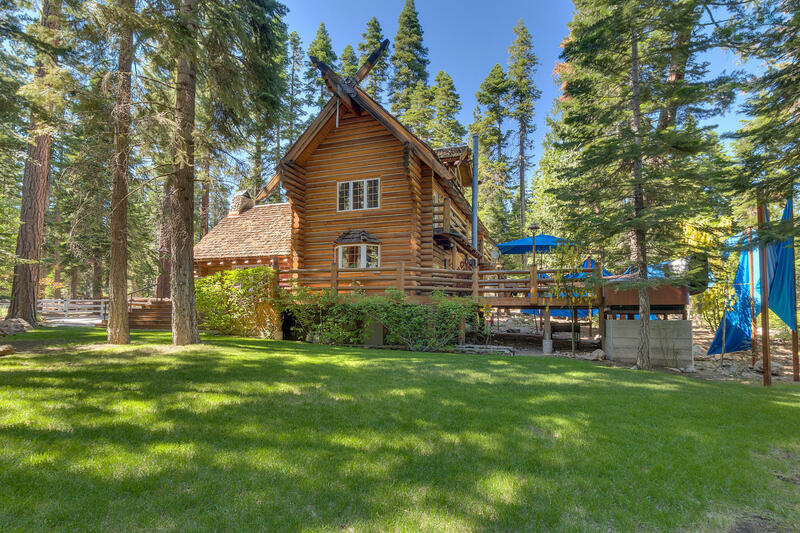 In what is arguably the most unique property in Lake Tahoe lies a paradise for horse enthusiast. Timberwolf Lodge offers peace and tranquility with 3 bedrooms, 2 baths in the main log-house featuring vaulted ceilings, rustic touches, river rock fireplace, and a deck to enjoy the scenic views from the hot-tub. The 3-car garage provides ample storage for all summer and winter gear. A charming guest house offers 1 bedroom and 1 bath. Roam the breathtaking grounds with its lush lawn, tall trees, plenty of sunshine and shade. Three separate corrals lead you directly to the trails of the famed Tevis Cup horse race. Saddle-up and explore in your own backyard. This is a once in a lifetime opportunity! Easy access from the main road and accessible year-round, a short one block walk to the lake, minutes drive to Tahoe City, and short distance from nearby bike paths.